Welcome 2014 the year of Horse! 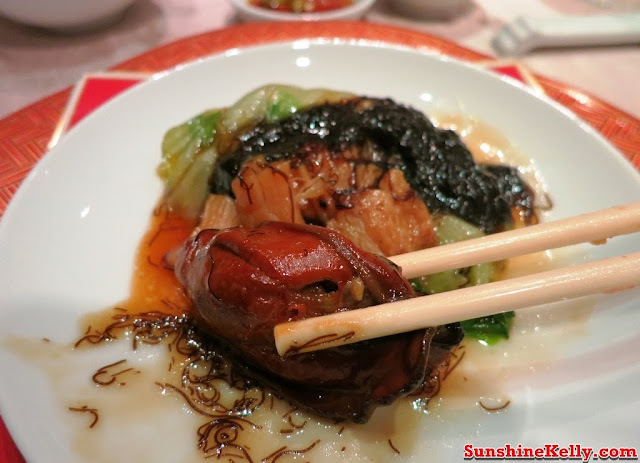 Last week I just tried the Chinese New Year Menu at Tai Zi Heen Restaurant, Prince Hotel & Residence KL. This year the dishes are relatively modern or somehow fusion twist however some main traditional dishes still maintain. Four Season Prosperity Yee Sang (Butterfish, Salmon, Tuna, Jellyfish) with crispy shredded treasures and blackcurrant plum dressing. 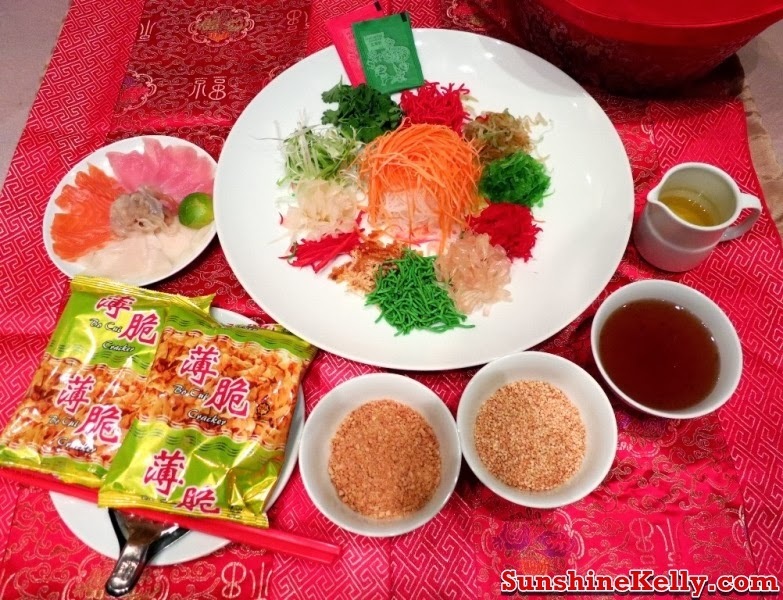 The major ingredients and stuff are quite a standard like other yee sang the only different is the homemade blackcurrant plum sauce which is not too caramelize or too sweet. Quite like the fresh and crunchy jellyfish. 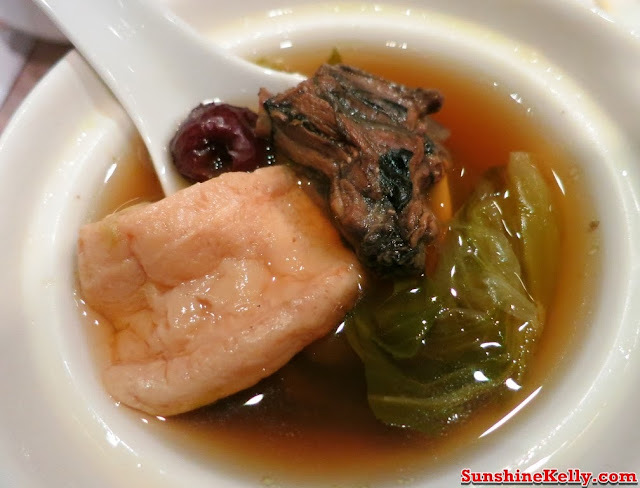 Double boiled fish maw with chicken and dry scallop vegetable soup. This soup is obviously worth it burst with natural sweetness and fresh fish maw. Braised Japanese sun dried scallops, dried oysters and fatt choy. 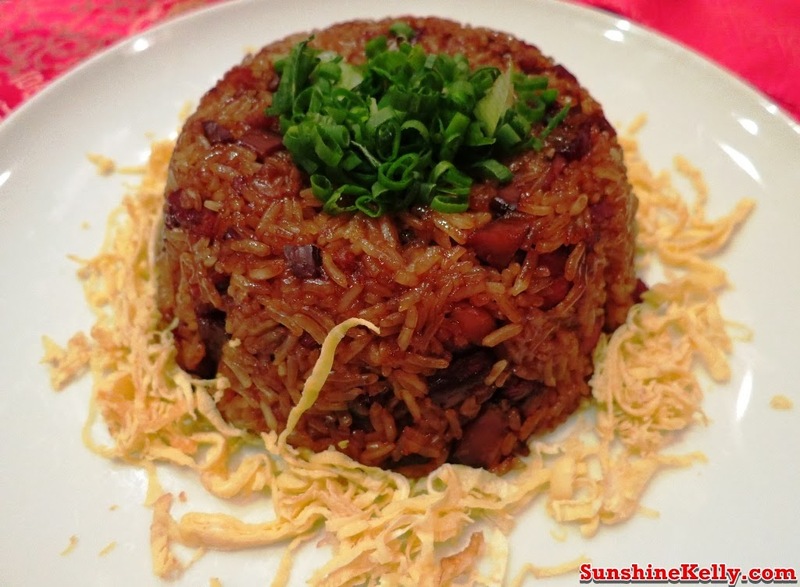 This is like my home signature dish for Chinese New Year. 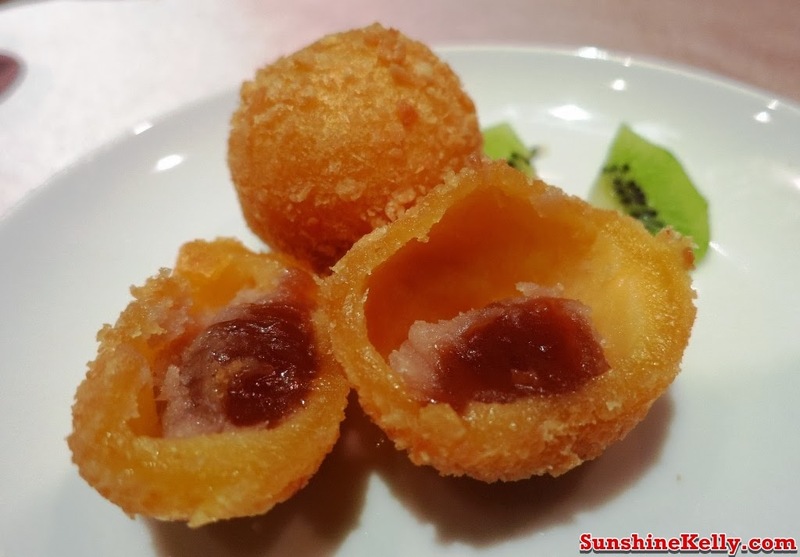 Crispy prawn coated with lemon dressing, garnished with tropical fruit salsa and tobiko. 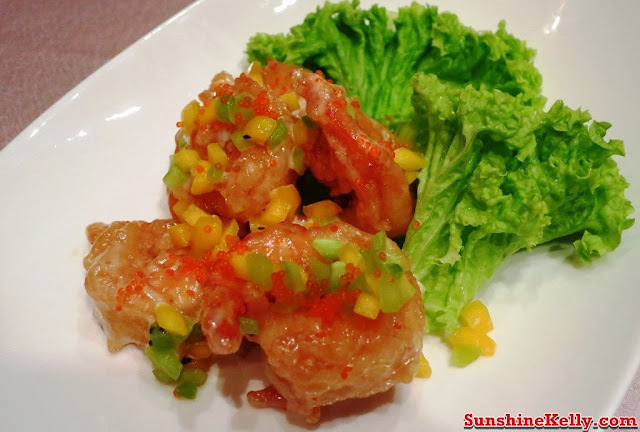 Like the fresh prawn with sweet and creamy prawn dressing, more tobiko will be better. Baked salmon fillets with honey and onion rings. 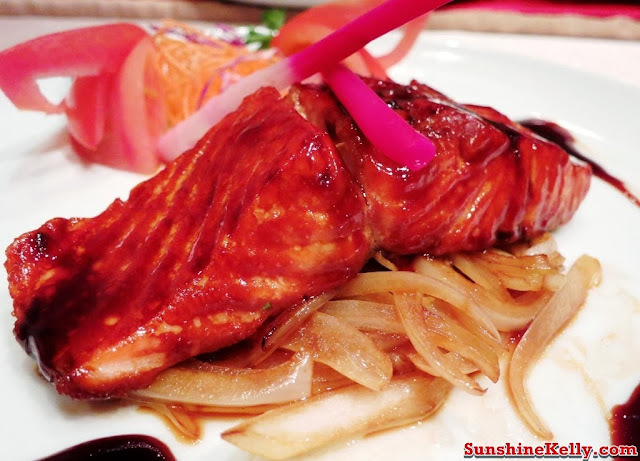 The fish is slightly dry, I would prefer other way of cooking like pan fried for salmon instead of baked. Stir fried glutinous rice with salted duck. The fragrant rice and flavourfull salted duck or some called it wax duck. Chilled pumpkin puree with sago cream topped with vanilla ice cream and pistachio nuts. 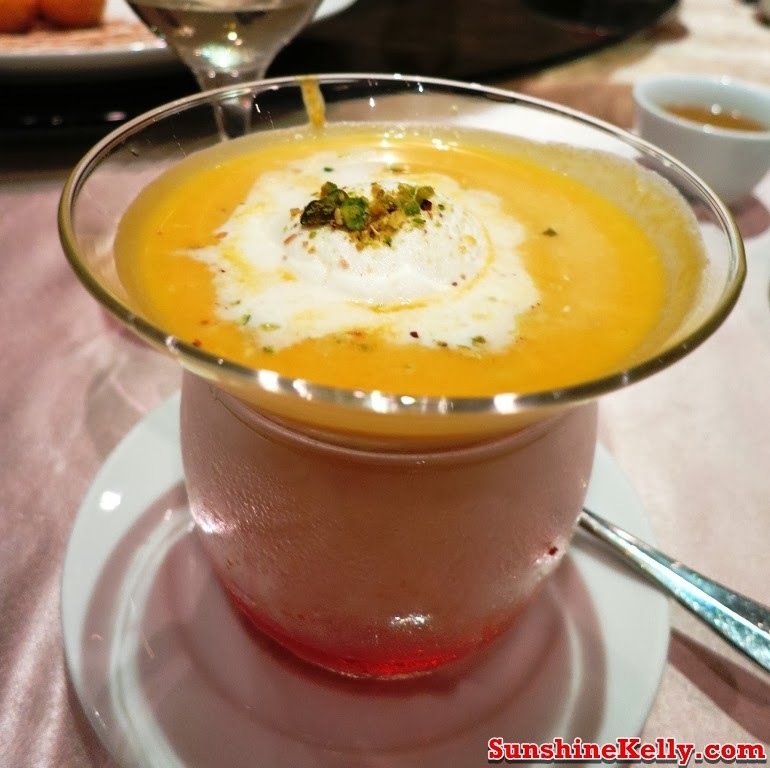 This is my favourite, I love pumpkin puree with the smooth texture of sago and pistachio nuts. My stomach will always have room for this dessert even though I am so full. 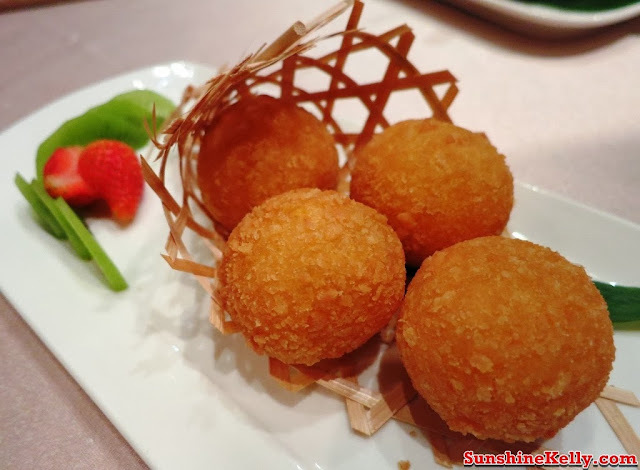 There are 3 different set menus such as Spring and Happiness, Everlasting Prosperity and the Wealth and Fortune price ranges from RM1,288++ to RM1,988++ per table for 10 persons. 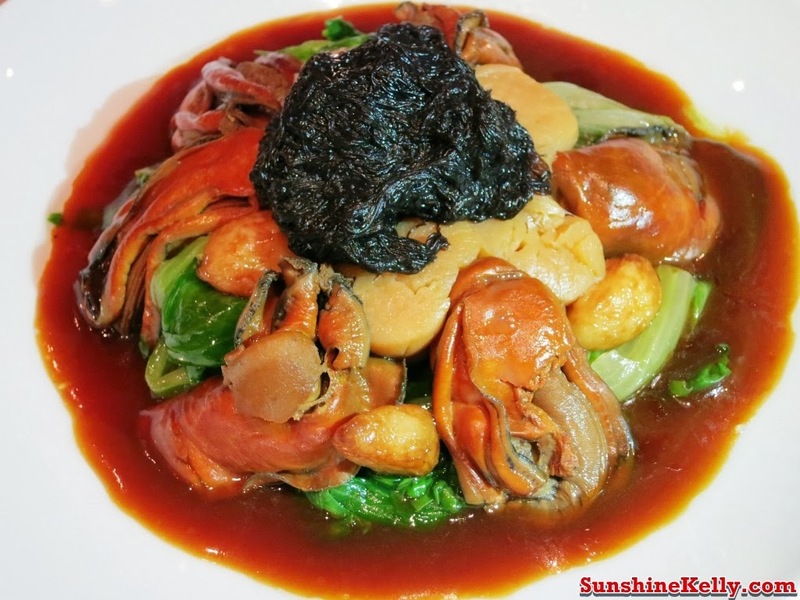 Some of the highlight from the menus include the Roasted Chicken Sprinkled with Crispy Garlic served with Five Spice Salt; Pan-Fried Jumbo Prawn with Chef's Signature Sauce; Hong Kong Style Steamed Grouper with Spring Onions; Coriander topped Superior Sauce and Double Boiled Chicken wit Whole Abalone, Dried Scalop, Bamboo Pith and Vegetables. These auspicious Chinese New Year menus are available from 9th Jan till 14th Feb 2014. 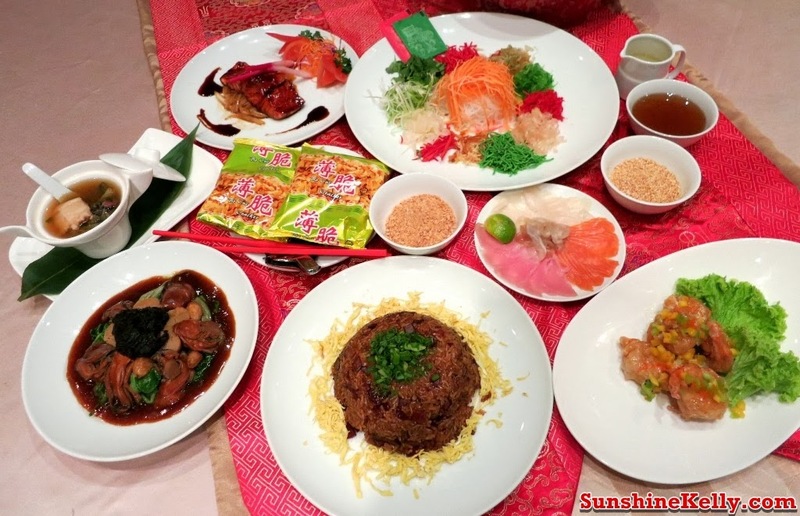 A selection of Yee Sang is available during this period such as Vegetarian Snow Pear Yee Sang, Abalone Yee Sang, Salmon Yee Sang, Hamachi Yee Sang and Canadian Surf Clam Yee Sang.